a true reflection of that, so textural and absolutely stunning." 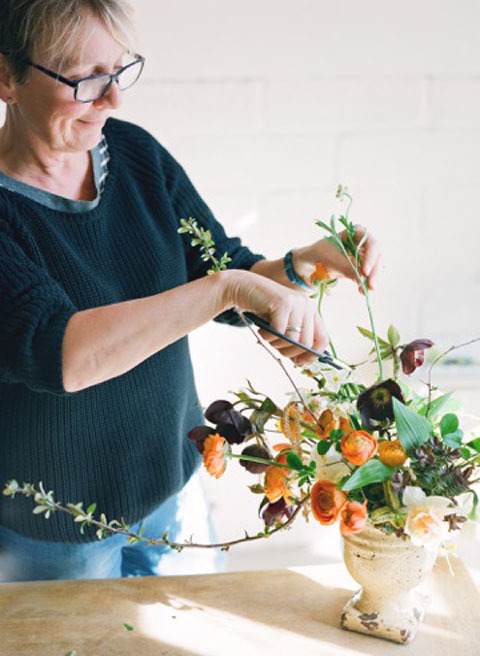 I'm a studio based floral designer who is inspired by nature and the sheer joy of flowers. I’ve been a florist for 10 years and set up my floral design business 5 years ago. I have a trusted team to assist me with larger events and projects. I also work with other wedding and events florists on a freelance basis. I specialise in naturally elegant and timeless designs for weddings and events. I have a passion for design and a keen eye for detail. I create floral designs for all sorts of events both private and corporate. Weddings, christenings, funerals, parties, styled shoots, corporate functions, promotions and industry events. I have wonderful suppliers who source the freshest and most beautiful flowers and foliage. I use both imported and locally sourced flowers, whichever are the best to achieve your desired style. I like to include seasonal touches where I can. I have created designs for and flowered up hundreds of weddings and have worked at some of the loveliest venues including Davenport House, Hampton Manor, Shustoke Barn, Fazeley Studios and Coughton Court. I am based just outside Birmingham and am handily placed to cover the Midlands and beyond. Please do contact me to discuss your floral fancies.